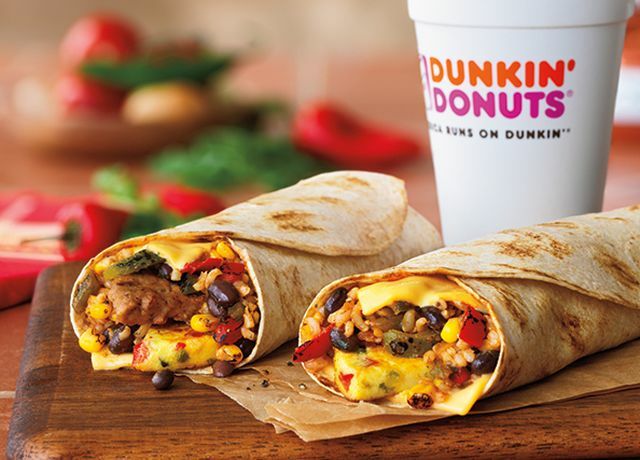 Claiming it as the brand's "biggest breakfast sandwich launch of the year," Dunkin' Donuts will introduce the new GranDDe Burrito starting this upcoming Monday, February 29, 2016. The 10-ounce breakfast burrito features a spicy omelet made with jalapenos, red bell peppers, and pepper jack cheese with habanero, plus a rice and bean blend that also includes corn, fire-roasted peppers, and onions, wrapped up in a flour tortilla. 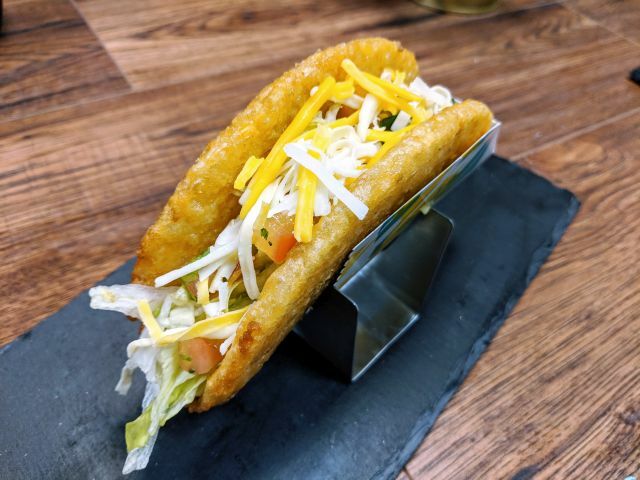 The GranDDe Burrito is available in both a sausage or veggie version and will be available all day at participating Dunkin' Donut locations for a limited time. The suggested price for both versions is $3.99.